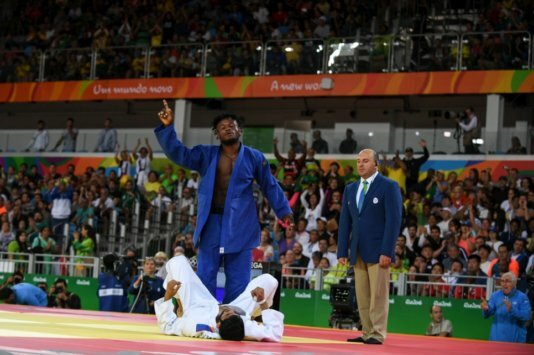 As the world’s attention focused on the Rio Olympics 2016, ten participants in this year’s competition have shaped global history by becoming the first refugees to have ever participated in an event of such international stature. 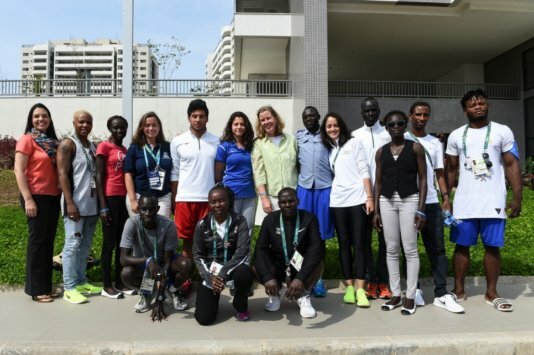 Drawn from four countries that have borne the brunt of war and conflict, the refugee team, as they have been christened, were selected to participate in the Rio Olympics to "send a message of hope to all the refugees of the world" according to the International Olympic Committee president Thomas Bach. Participating in different sports including swimming, marathon running and judo, the refugees from Syria, Ethiopia, DR Congo and South Sudan have brought to the Olympics personal and harrowing stories of trekking perilous journeys in search of better life. The highlight of their participation was at the opening ceremony when they were officially introduced to the world. Strutting confidently in the arena while flying an orange and black flag and an anthem composed specifically for them playing in the background, the team got a rousing welcome and standing ovation in an emotional event that saw some spectators weep openly. Their flag, flying high, stood out. The conspicuous orange and black colours represented the colour of life jackets that were worn by refugees when they made dangerous sea crossings. Yara Said a Syrian refugee and an artist who now resides in Amsterdam designed the flag which she said epitomizes the spirit of resilience and pursuit for a better life for the refugees. "Black and orange is a symbol of solidarity for all those who crossed the sea in search of a new country. I myself wore one, which is why I so identify with these colors—and these people," Yara said. Such solidarity is best captured in the stories of the participating refugees like Yusra Mardini a teenage refugee from Syria who is competing in the swimming category. She has attracted global attention for her bravery in rescuing 20 people in a boat from capsizing when they were fleeing Damascus from the Syrian war. She swam for three hours and used her swimming prowess to help everyone into getting to Germany. At the Olympics she won in the 100m butterfly heat but her time was not fast enough to let her progress. She couldn’t also proceed in the 100m freestyle. “I want everyone to think refugees are normal people who had their homelands and lost them, not because they wanted to run away and be refugees," she said in an interview with the BBC. Yolande Mabika another participant from the Democratic Republic of Congo was separated from her family at a tender age when war broke out. Running alone across forests, she was picked by a helicopter and taken to the country’s capital where she was placed in a center for displaced children. It is here where she started practicing judo. At the Olympics, she was knocked in the first round of the 70 kg contest by Linda Bolder of Israel. Other refugees participating include swimmer Rami Anis from Syrian, runners Yiech Pur Biel, James Nyang Chiengjiek, Anjelina Nada Lohalith, Rose Nathike Lokonyen and Paulo Amotun Lokoro from South Sudan, marathon runner Yonas Kinde from Ethiopia and judokas Popole Misenga from Congo. None of them however has secured a medal. They however insist that with or without medals, to have made it to Rio is a win for them because it has given them a platform to pass a message across. Industry players say the representation of the refugees in an internationally acclaimed event is a big plus in consolidating the many messages that have been pushing for the recognition and respect of refugees while paying more attention to the largest refugee crisis since World War II. According to the United Nations’ refugee Agency, there are more than 65 million displaced people globally. This number went up by almost 6 million last year. The refugee agency says people from Afghanistan, Syria and Somalia form the bulk of these refugees. "Having no national team to belong to, having no flag to march behind, having no national anthem to be played, these refugees will be welcomed to the Olympic Games with the Olympic flag and with the Olympic anthem. They will have a home together with all the other 11,000 athletes from 206 National Olympic Committees in the Olympic Village," Thomas Bach, president of the International Olympic Committee (IOC), said in a press conference in March when he officially announced that the refugee team would be participating in this year’s event. Dr. Julius Tembo a consulting expert in International Studies and conflict resolution in Nairobi Kenya says the recognition of refugees with a unique flag, anthem and participation in an international event is a fundamental step in changing how the world views and addresses the refugee crisis. “The conversation has now shifted from board rooms and international forums to actually demonstrating that refugees are not just any cluster of people. By letting them compete in sports on the same platform with everyone else it sends the message across that they are like the rest of us, looking for a better life,” he said. For the first time, a team of refugee athletes will competed under the Olympic flag. Rose is one of them. The refugge team of this year's olympic. Popole Misenga celebrates the first-ever win of a refugee athlete in the Olympic Games.